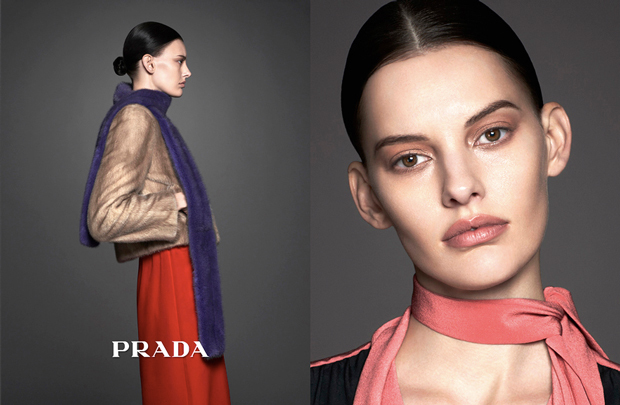 Prada's 'Pradasphere' exhibition is up at Harrods, and the London department store's complimentary in-house publication, Harrods Magazine, tapped the photographer Ishi to shoot model Amanda Murphy for a series of branded ads. Murphy, who previously worked as a radiology technician, has ascended to modelling fame in past couple years, in large part due to her ongoing relationship with Prada. At 26 years old, she walked the label's Fall 2013 show as an exclusive and appeared in the collection campaign the same season. 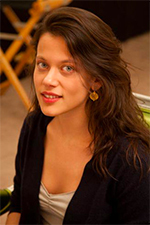 She was also tapped for the brand's Spring 2014 campaign, but was passed over for the Fall ads (which have just been released to a broadly unfavorable response in the tFS Forums). 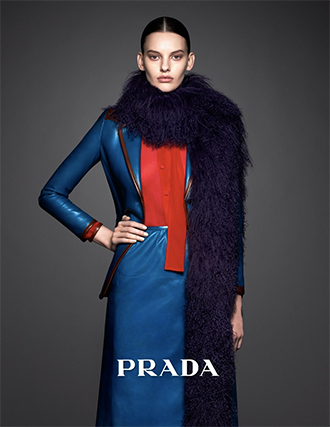 The Harrods images show Murphy wearing Prada's Pre-Fall collection, styled by Victoria Gaiger.